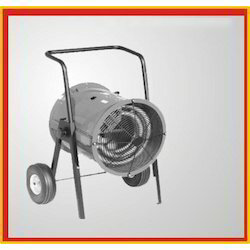 With the aid of our years of experience in the field of cutting edge technology, we are able to render our clients a wide spectrum of Industrial Blower. The product is designed in such a way that is can go with the contemporary demands of national as well as international market. Made with premium grade raw materials. - This series covers the blowers from 2 LK to 8 LK/MK/HK. - Due to both side oil lubrication system this series allows high rpm. 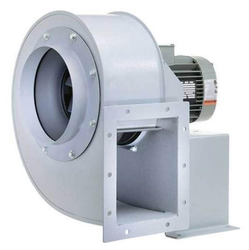 We are engaged in offering wide range of Centrifugal Blowers that cater the requirements of various industries. Designed and fabricated using quality material, the range is durable, efficient, low in maintenance and superior in performance. Keeping the diverse requirements of the customers in mind, our company is involved in offering superb quality range of Industrial Blower. Globe Polymers design & manufacture various types of Industrial Centrifugal Blowers in PP+FRP, FRP, PVC/FRP, FRB, FRVE and MS+FRP as per client's operational requirements. The Impellers are balanced dynamically within acceptable limit.